What’s Going to Happen to the FIFA Forfeiture Money? HomeBlogAnonymous CompaniesWhat’s Going to Happen to the FIFA Forfeiture Money? Following from my blogs on Friday and Monday about different aspects of the FIFA case, I’d like to talk a little bit about the forfeiture funds and penalty payments that the U.S. Department of Justice (DOJ) will be collecting in this case and what will happen to them. A proceeding like the FIFA case can result in a really large pile of cash that will be under DOJ control. Unless the Defendants are acquitted of the charges against them at trial or the DOJ decides to drop the case against a Defendant for some reason, we can expect that the DOJ will be collecting from those Defendants the bribe money that they received, anything they bought with that money that will then be auctioned off (for example, check out the list of real estate that will likely go under the hammer in Florida and Georgia from paragraph 343 of the indictment), and, possibly, additional fines in the form of penalties. It is going to add up. It is obviously critical that the DOJ, Federal Bureau of Investigation (FBI), Internal Revenue Service (IRS) and other government agencies that were involved in this case are able to recoup the money they spent working on this investigation over the past few years. Another way of looking at it is that they need to keep a sizable chunk in order to ensure that they have the resources to work cases like this over the next few years. No matter how you slice it, that’s important to American taxpayers as well, who pay less in taxes because the DOJ and other agencies are able to fund part of their work through forfeiture and penalty payments instead of through tax dollars. Win-Win. The DOJ also has a discretionary forfeiture fund that they can use for unplanned expenses, which is likewise an important destination for some of this money. For example, in the last Congressional session, the DOJ committed some of these discretionary forfeiture funds to help offset any costs incurred by state governments in updating their incorporation systems to begin to collect information on the actual owners or controllers of companies (aka beneficial owners), as proposed in the bipartisan Levin-Grassley Incorporation Transparency and Law Enforcement Assistance Act. The National Association of Secretaries of State vociferously opposed that proposed bill, which would have made it much harder to use anonymous shell companies to move around proceeds of crime, despite the DOJ’s generous funding. These shell companies were one of the ways in which the FIFA bribe money was moved around. So, I definitely want to make sure we add some funds to that account, so that the DOJ can continue to support bills like that important one. And now I’m going to get a little bit creative. Perhaps the DOJ would consider establishing a special fund for some of this money. America has historically marginalized many communities in the cities that power its economy, including some that are also its biggest soccer towns—the Washington D.C.-Baltimore metro area, Los Angeles, Chicago and New York, which just launched its second pro-soccer club. These cities face multifaceted problems that need multifaceted solutions, but a potential part of the solution could be to invest in better after-school programs—by, for example, creating some robust youth soccer programs in our inner cities. A lot is said about the positive, life-long effects that organized sports can have on kids, but many underprivileged, inner-city kids don’t have access to any sports programs. Even those that do, typically encounter poorly funded programs that don’t offer the same physical, mental, and social benefits that programs in more affluent areas do. Easier said than done, of course, but it can certainly only be done if there is funding. So, that’s my bid. I’d like to see the DOJ use some of the forfeiture and penalty funds to create a special account to fund inner-city youth soccer (or other sports—soccer just seemed appropriate). This, after all, is the type of program that an ethically responsible FIFA is supposed to have been supporting. Perhaps U.S. Soccer would commit to developing such a program and being an administrator for the funds. Let’s use this case to try to change some kids’ lives, and perhaps some American neighborhoods, for the better. The DOJ can help do that. Heather Lowe serves as legal counsel and director of government affairs at Global Financial Integrity (GFI), spearheading the organization’s advocacy efforts in the U.S. and internationally. 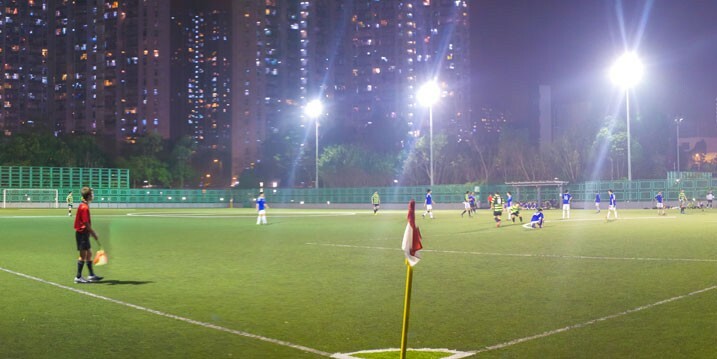 Image:夜間足球 Nighttime Football (Soccer) by See-ming Lee [CC BY 2.0], via Flickr.